To claim this profile, please confirm you are Nate Sweeney. To follow this profile, please let us know your relationship to Nate Sweeney. Boys varsity lacrosse vs. Farmington. Nate's lacrosse stats have been updated for the loss @ Stonington. Nate has been added to the Norwich Free Academy football roster. 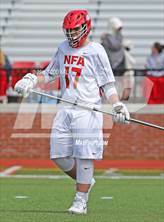 Nate has been added to the Norwich Free Academy lacrosse roster. Nate was tagged in the video "Nate Swweeney Jr. DL." Nate was tagged in the video "Nate Sweeney's highlights New London High School." Nate was tagged in the video "Nate Sweeney's highlights Killingly High." Nate was tagged in the video "Nate Sweeney's highlights Waterford High." Nate was tagged in the video "Nate Sweeney's highlights Windsor High School."